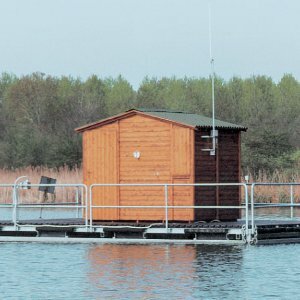 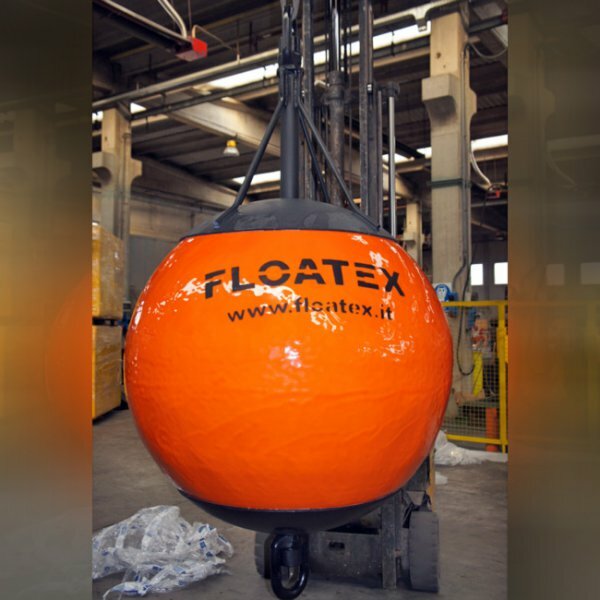 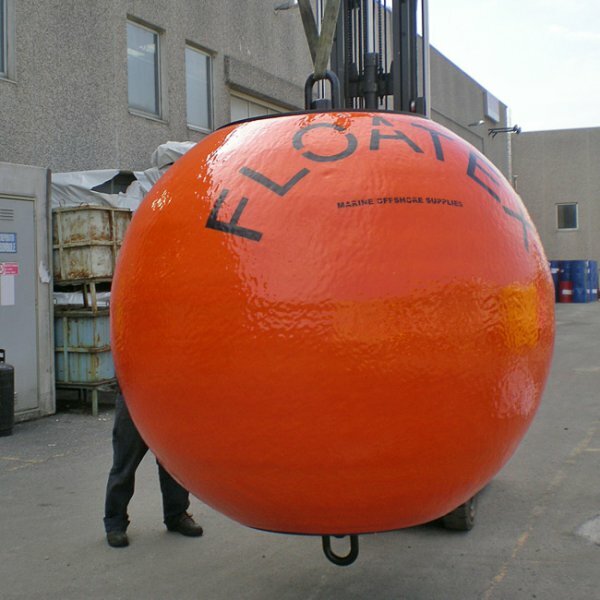 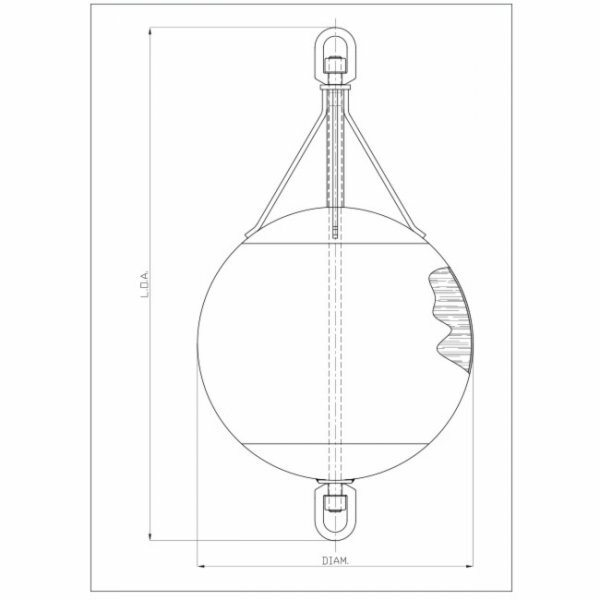 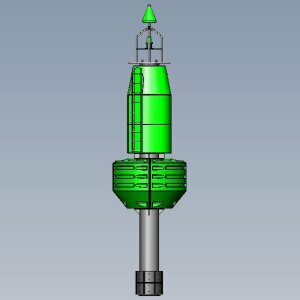 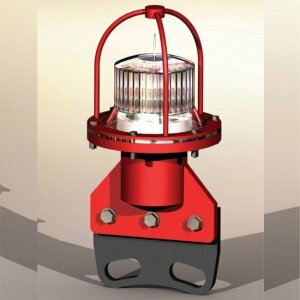 Floats are high-quality buoys designed expressly for a marine environment. 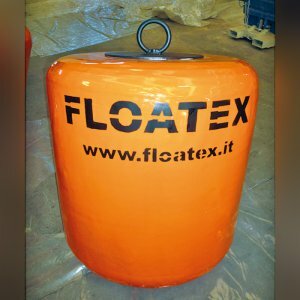 The inner core of the floats is filled with a non-water absorbing closed-cell foam. 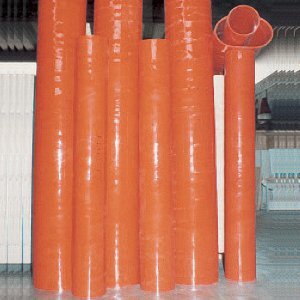 This material is a rigid foam which permits the buoys to retain buoyancy even if submerged. 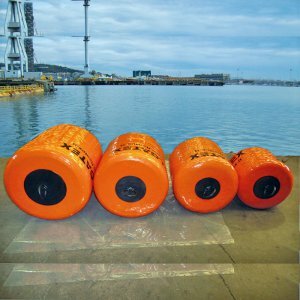 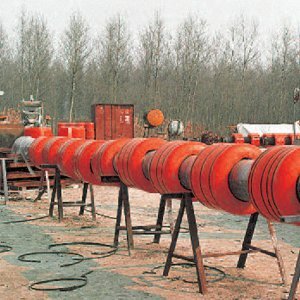 The high quality buoys outer foam layer is semi-flexible and is specifically designed to absorb impacts. 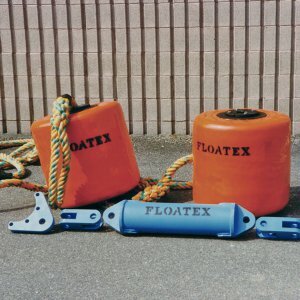 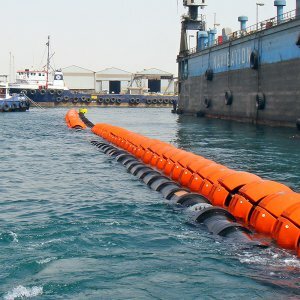 The foam is covered by a thick layer of reinforced elastomer specifically formulated for wear and abrasion resistance and for use in a marine environment. 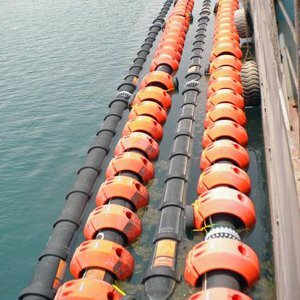 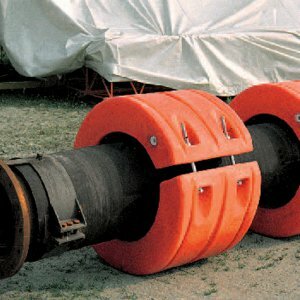 A heavy-wall steel pipe through the axis of the floats provides a high pull through load capability.